FAIRFIELD — Number eight in “The Fast and the Furious” series arrives on the big screen Friday. “The Fate of the Furious” centers on the globetrotting team settling into a routine when Dom is seduced into a world of crime by a mysterious woman. The elite force crisscrosses the globe to stop an anarchist and to bring home the man who made them a family. Vin Diesel, Jason Statham, Dwayne Johnson, Ludacris and Charlize Theron are featured in the action adventure, which is rated PG-13. “Spark: A Space Tail,” an animated film about a wisecracking teen living on an abandoned planet with his friends who learn of a plot to wipe out the entire universe. Hillary Swank, Susan Sarandon and Patrick Stewart are some of the voices in the film, which is rated PG. “The Lost City of Z,” which tells the true story of British explorer Percy Fawcett, who journeys into the Amazon at the dawn of the 20th century and discovers evidence of a previously unknown, advanced civilization that may have once inhabited the region. Despite being ridiculed by the scientific community, he returns again in an attempt to prove his case, only to mysteriously disappear. The film is rated PG-13. “Mission Control: The Unsung Heroes of Apollo,” a documentary about the faltering start of the Mercury and Gemini programs, the tragic Apollo 1 fire and the Moon landings. It’s not rated. “My Entire High School is Sinking into the Sea,” an animated feature about best friends preparing for another year at Tides High School. When a blossoming relationship threatens to destroy the friendship, one of them learns the student body is in danger. Jason Schwartzman, Lena Dunham and Maya Rudolph are some of the featured voices in the movie, which is rated PG-13. “Altitude,” which features Denise Richards as a headstrong FBI agent who goes rogue on a hostage negotiation and is sent packing to a desk job. On her flight back to Washington, D.C., her seatmate offers her millions of dollars if she can get him off the plane alive as his ex-partners stage a brutal hijacking. It’s rated PG-13. “Finding Oscar,” a documentary that centers on a young boy who was spared during a forgotten massacre in Guatemala’s decades-long civil war, only to be raised by one of the soldiers who killed his family. Almost 30 years after the tragedy, he sets out to uncover the truth and bring justice to those responsible. It’s not rated. “Norman: The Moderate Rise and Tragic Fall of a New York Fixer,” which features Richard Gere in the story of a man who only wants to matter. He has a lonely existence in the shadow of power and money, using any angle or connection to put himself in a position of significance. Things change when he buys a pair of expensive shoes for a lowly Israeli politician, who becomes prime minister. It’s rated R.
“A Quiet Passion,” which features Cynthia Nixon in the story of poet Emily Dickinson. It’s rated PG-13. “Jeremiah Tower,” a documentary about one of America’s first celebrity chefs. It’s not rated. Hidden Figures dramatized the true story of four black women whose mathematical skills enabled NASA's Mercury program to send John Glenn into orbit in 1962; coming on the heels of that movie, this documentary about the development of NASA's Mission Control Center in Houston can't help but feel like white-male backlash. Director David Fairhead (In the Shadow of the Moon) interviews a large contingent of Mission Control veterans—you know, those guys in the crew cuts, black neckties, and white, short-sleeved shirts—and they relive some of the more storied missions of the Apollo moon-landing program: Apollo 1, scuttled after an electrical fire in the rocket cabin killed three astronauts in 1967; Apollo 11, which landed Neil Armstrong on the moon two years later; and Apollo 13, the disaster-plagued 1970 mission later immortalized in the Ron Howard movie of the same name. This is the usual mix of talking heads and archival footage, but Fairhead also inserts detailed CGI sequences that vividly illustrate the technical issues unfolding. Fri 4/14, 7 and 9 PM; Sat 4/15, 3, 5, 7, and 9 PM; Sun 4/16, 1, 3, 5, and 7 PM; and Mon 4/17–Thu 4/20, 7 and 9 PM. HOUSTON - The movie, “Mission Control: The Unsung Heroes of Apollo” tells the story of Houstonians who put space in the American space program. The movie’s premiere landed at Space Center Houston Tuesday night. “It was a long time coming,” said legendary Apollo 13 flight director Gene Kranz. He said the movie introduces you to the real people involved in the space program, not actors. “Part of it is failure is not an option. And it's time to get back on track and get back into space and become explorers again," Kranz said. While Kranz worked in mission control at the Johnson Space Center, astronauts like Col. Walter Cunningham of Apollo 7 relied on mission managers to get him to space and back to earth safely. "Astronauts get the glory. But they don't realize how much work was going on not just by hundreds but thousands of people,” Cunningham said. The film’s release happened as Space Center Houston worked to raise money to restore NASA’s Mission Operations Control Center. CEO of Space Center Houston and President William Harris said, "This is really an important part of American history and really world history when we achieved this incredible milestone." NASA - Our first stop takes us to an asteroid heading straight for Earth. The asteroid is more than a half-mile long will fly by earth on April 19th and is the closest asteroid to fly by since 2004. It doesn't take a rocket scientist to figure out that this could be devastating to our planet, but NASA said its it just a potential hazard. A bit further in space only 415 million miles away, a NASA probe has captured Jupiter like never before! These incredible shots of 'The Giant Planet' are some of the coolest and closet looks at Jupiter we've ever seen. These planetary selfies were snapped by the $1 Billion Juno spacecraft and show's lots of storms and gases. 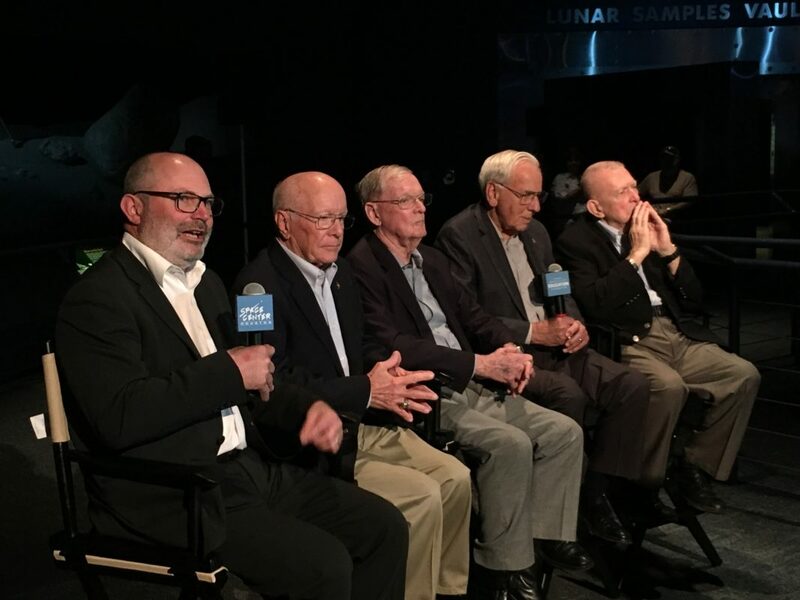 Lastly, a new documentary "Mission Control: Unsung Heroes of Apollo" at Space Center Houston is honoring the famed Apollo Mission Control leaders. "You could've heard a pin drop in that control center. I mean, it's the first time we'd gone behind the moon," one of the historic Mission Control operators said in the new film. If only those guys could figure out what to do about the asteroid heading our way. At the heart of the Apollo space program and a remarkable decade of achievement was the team who worked in Mission Control.They were born against a backdrop of economic turmoil and global conflict. Some came from a rural lifestyle little changed from the 19th century. Others grew up in a gritty, blue-collar America of mines and smoke stacks. They ranged from kids straight out of college to those toughened by military service. But from such ordinary beginnings, an extraordinary team was born. They were setting out on what JFK called: "The most hazardous, dangerous, and greatest adventure upon which mankind has ever embarked" and through their testimony – and the supporting voices of Apollo astronauts and modern NASA flight directors – the film takes us from the faltering start of the program through the Mercury and Gemini missions, the tragedy of the Apollo 1 fire to the glories of the Moon landings. Gravitas Ventures has acquired worldwide rights for Mission Control: The Unsung Heroes of Apollo, a documentary that has yet to premiere at this year’s South by Southwest Film Festival. The distributor is planning a theatrical and VOD release on April 14. Mission Control revisits the early days of the Apollo program, including the Apollo 1 fire and, the Mercury and Gemini missions, and the Moon landings. The documentary will feature archival footage of NASA’s humble beginnings and the teams’ early days working on the moon mission, alongside interviews with the team behind the moon landing. The film is directed by David Fairhead and is produced by Keith Haviland and Gareth Dodds. The action thriller financed by Studiocanal has moved back from its initial 2017 slot. Lions gate has moved the release of The Commuter from October 13 this year to January 12, 2018. The triller reunites Neeson with his Non-Stop director Jaume Collet-Serra and dentures in a businessman who gets caught up in a criminal conspiracy. 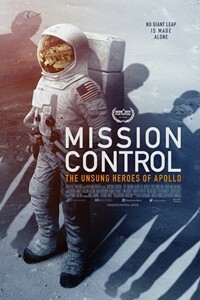 Separately, Gravitas Ventures has acquired the documentary Mission Control: The Unsung Heroes Of Apollo from Havilland Digital. The film will premiere in SXSW and opens in selected theaters and on VOD on April 14. Gravitas has also picked up US rights to crime drama The Beautiful Ones. Gravitas Ventures has secured worldwide rights from Haviland Digital to the compelling untold story behind this extraordinary team, told with unprecedented access to archival footage and stories from the men who lived it, including creator of Mission Control, Dr. Chris Kraft, retired NASA Flight Directors Gene Kranz (portrayed by Ed Harris in "Apollo 13"), Glynn Lunney and Gerry Griffin. Also appearing are Flight Dynamics Officer Jerry Bostick, Flight Controller John Aaron, iconic astronaut Captain James Lovell (played by Tom Hanks in "Apollo 13"), and moonwalkers Charlie Duke and the late Captain Gene Cernan. Mission Control was at the very heart of the Apollo program and its heroes were born against a backdrop of economic turmoil and global conflict. Some came from a rural lifestyle unchanged since the 19th century. Others grew up in a gritty, blue-collar America of mines and smoke stacks. They ranged from students straight out of college, to soldiers toughened by military service. Yet, from such ordinary beginnings, an extraordinary team was born. They set out on what JFK called "the most hazardous, dangerous, and greatest adventure upon which mankind has ever embarked." Through the team's testimony and the supporting voices of Spollo astronauts and modern NASA leaders, "Mission Control" explores their journey from the faltering start of the program to Mercury and Gemini missions, the tragic Apollo 1 fire and the glories of the Moon landings. This was achieved through a team whose average age was around 27 years old. "Mission Control" was directed by David Fairhead and produced by Keith Havilland and Gareth Dodds. 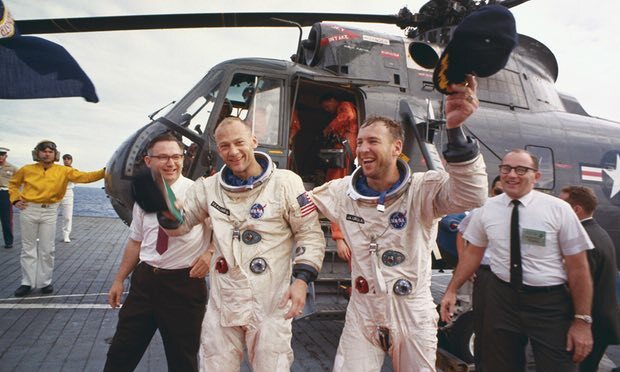 The three men came to the story of "Mission Control" after their work on "The Last Man on the Moon," which bowed at SXSW in 2015 and told the tale of Astronaut Gene Cernan. Crenan, who flew three times in space and twice to the Moon, passed away in January 2017. Gravitas Ventures has acquired worldwide rights from Haviland Digital to the documentary “Mission Control: The Unsung Heroes of Apollo” ahead of its world premiere at the South by Southwest Film Festival. Gravitas is planning an April 14 day-and-date release in theaters across the U.S. and VOD. The film includes archival footage and stories from the creator of Mission Control, Dr. Chris Kraft, retired NASA flight Directors Gene Kranz (portrayed by Ed Harris in "Apollo 13"), Glynn Lunney and Gerry Griffin. Also appearing are Flight Dynamics Officer Jerry Bostick, Flight Controller John Aaron, Astronaut Captain James Lovell (played by Tom Hanks in "Apollo 13"), and moonwalkers Charlie Duke and the late Captain Gene Cernan. "Mission Control" explores the faltering start of the program to the Mercury and Gemini missions, the tragic Apollo 1 fire and the Moon landings. SXSW in 2015 and told the tale of Cernan, who flew three times in space and twice to the Moon. “Mission Control” was directed by David Fairhead and produced by Keith Haviland and Gareth Dodds. The three men came to the story of “Mission Control” after their work on “The Last Man on the Moon,” which debuted at SXSW in 2015 and told the tale of Cernan, who flew three times in space and twice to the Moon. "It's a real privilege to tell this epic story of a remarkable decade. It shows what vision and teamwork can achieve," said Havilland. "Flights into space capture the imagination as much today as they did 50 years ago," said Gravitas Ventures' CEO Nolan Gallagher. "From Space X to 'Hidden Figures' to 'The Martian,' the dreams of millions are carried out by hundreds of heroes both in the air and on the ground at Mission Control. We are thrilled to be working with Gareth and Keith to share this remarkable piece of history with audiences everywhere." Fox's "Hidden Figured," which centers on the role of female African-American scientists in the early days of the space program, has been a critical and commercial success with three Oscar nominations and $145 million in domestic grosses. The deal for "Mission Control" was negotiated by Nolan Gallagher for Gravitas, and Dodds and Haviland Digital. The film includes archival footage and stories from the creator and Mission Control, Dr. Chris Kraft, retired NASA Flight Directors Gene Kranz (portrayed by Ed Harris in "Apollo 13"), Glynn Lunney and Gerry Griffin. Also appearing are Flight Dynamics Officer Jerry Bostick, Flight Controller John Aaron, astronaut Captain James Lovell (played by Tom Hanks in "Apollo 13"), and moonwalkers Charlie Duke and the late Captain Gene Cernan. "Mission Control" was directed by David Fairhead and produced by Keith Havilland and Gareth Dodds. The three men came to the story of "Mission Control" after their work on "the Last Man on the Moon," which debuted at SXSW in 2015 and told the tale of Cernan, who flew three times ins pace and twice to the Moon. "Flights into space capture the imagination as much today as they did 50 years ago," said Gravitas Ventures' CEO Nolan Gallagher. "From Space X to 'Hidden Figures' to 'The Martian,' the dreams of million are carried out by hundreds of heroes both in the air and on the ground at Mission Control. We are thrilled to be working with Gareth and Keith to share this remarkable piece of history with audiences everywhere. Fox's "Hidden Figures," which centers on the role of female African-American scientists in the early days of the space program, has been a critical and commercial success with three Oscar nominations and $145 million in domestic grosses. The deal for “Mission Control” was negotiated by Nolan Gallagher for Gravitas, and Dodds and Haviland for Haviland Digital. Mission Control: Coming to theatres and on demand on April 14. We will post more information as it comes up!